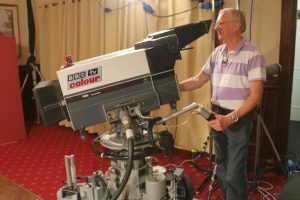 Former BBC camera operator Rex Palmer at the controls of an EMI 2001 colour broadcast television camera. Photo by Nick Gilbey. Rex Palmer joined the BBC as a trainee camera operator in October 1963. During his traineeship, he worked as an assistant on the first episode of Doctor Who, shot in 1963 at Lime Grove Studios. Using black and white CPS Emitron cameras with turret lenses, filming these early programs was a cumbersome and laborious task, and, as a young trainee, much of Rex’s early work included keeping the heavy cables clear as the cameras moved around the set. After several years working on a range of light entertainment, drama, and current affairs programmes within the confines of BBC studios, in 1980, Rex moved to the ‘open air’ of outside broadcasts. As was typical at this time, the majority of this work was centered around sport. Wimbledon and The Open golf were regular fixtures but there was also programs such as Songs of Praise, concert coverage, and events shot all over the UK. Rex became a camera supervisor in 1994 and remained working on outside broadcasts until leaving the BBC in 1995 to pursue a freelance career. Since then, the bulk of Rex’s work has been covering Formula One racing across the globe. Rex recalls that, when covering sport with the BBC, you very much “lived by your wits”. 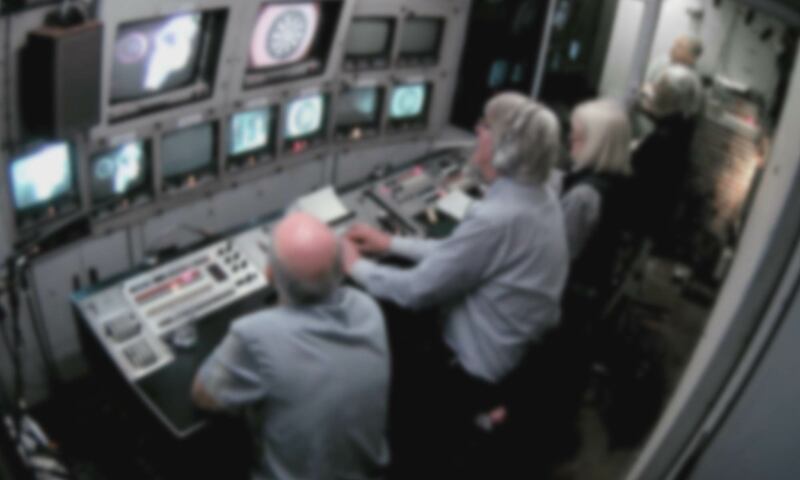 Camera operators were relied upon for their expert knowledge of both camera operation and program format and, as such, were able to take instructions from the director, via headphones, with minimal prior discussion.